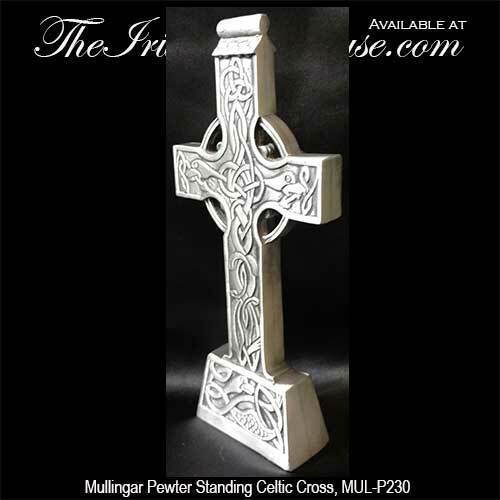 This standing Celtic cross is made of lead free pewter. 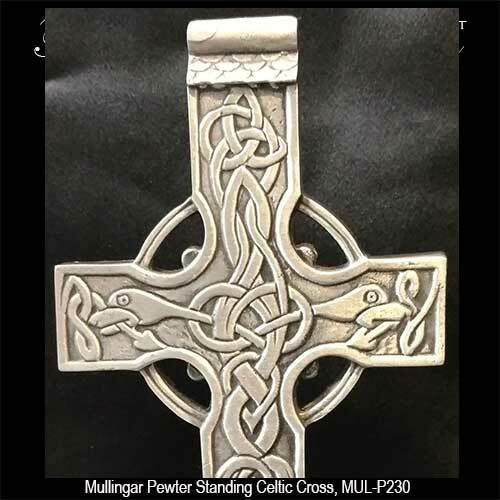 This pewter standing Celtic cross features elaborate detailing and measures 3 1/4" wide x 7" tall. 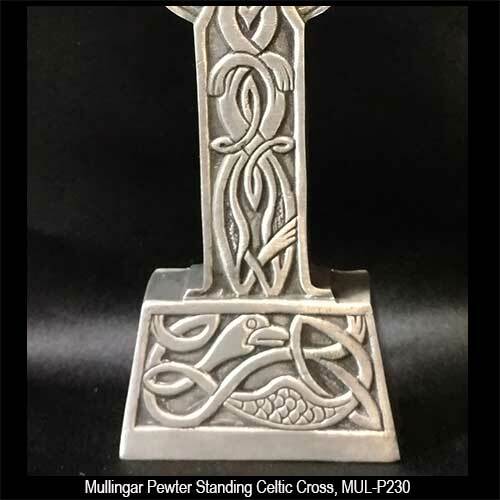 The double side standing cross is made in Ireland by Mullingar Pewter and is gift boxed with Celtic knot and Celtic cross history cards, complements of The Irish Gift House.